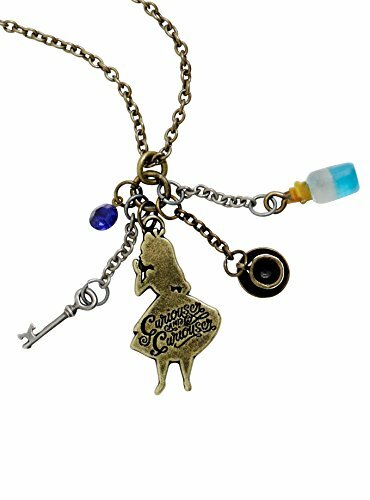 Necklace with a cluster of charms featuring a key, a blue faceted stone, a tea cup, a blue Drink Me bottle, and a silhouette of Alice with the words "Curiouser and curiouser". 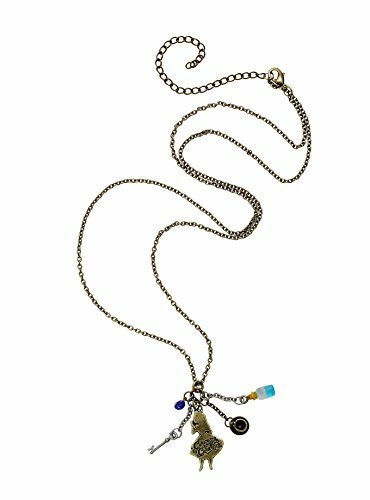 The necklace is made of metal and 24" long with an 4" extender. 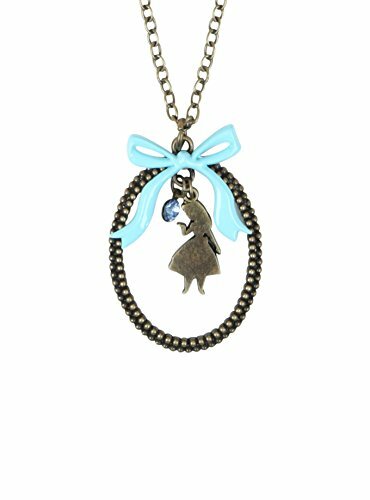 Lovely necklace with an oval pendant, blue bow, and a dangling Alice charm. 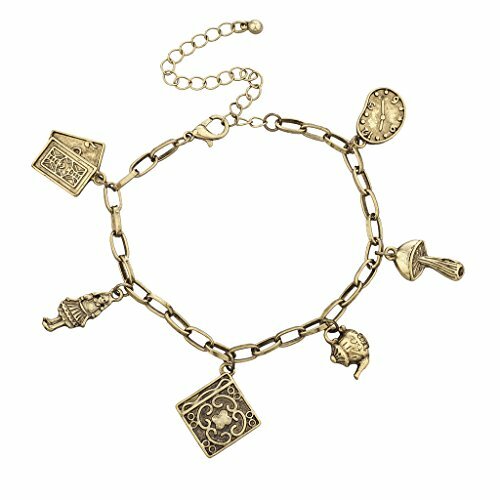 Cute ring with a tea cup on top. 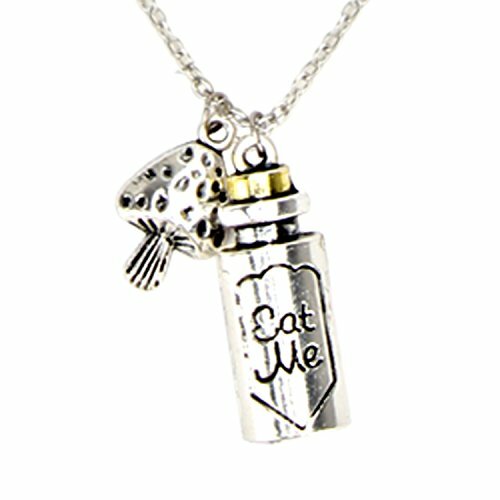 Available in silver and gold plated.